Excerpt from article on dressing for Melbourne’s Spring Racing Carnival. The lovely Jen and Tom from Melbourne’s P. Johnson give us their thoughts on men’s fashion for the 2011 Spring Racing Carnival. 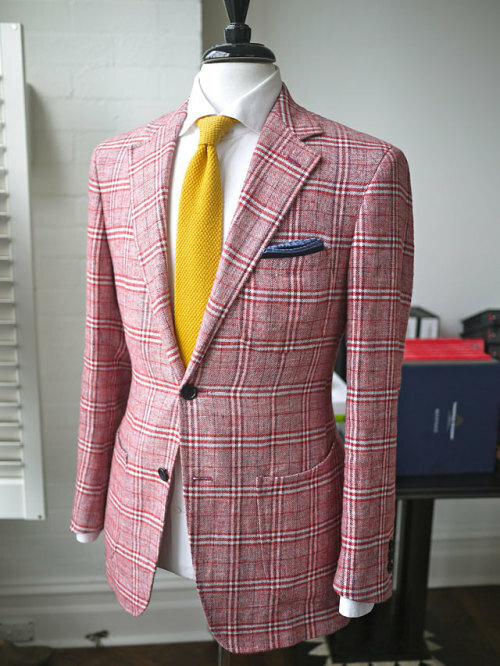 This season we have noticed that our clients are becoming a little more adventurous- wider lapels, bolder patterns and casual double-breasted jackets are all popular. We are also experimenting more with blended cloths such as wool/silks, cotton/linens and cotton/cashmeres. 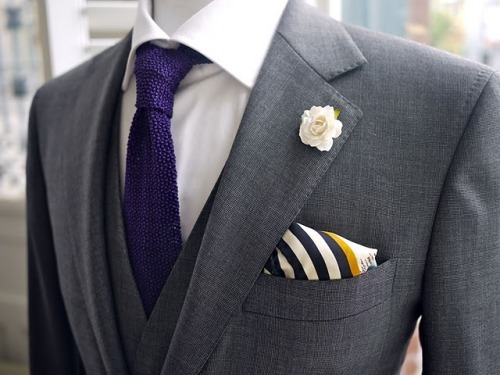 Always a pocket square, sometimes a knit tie, and an umbrella when required. All these accessories can be used as tools to balance one’s outfit to achieve a more harmonious look. What should guys be avoiding? Avoid imitation. Dress for yourself. Avoid white stretch limousines. Avoid drunk girls with too much fake tan. Avoid the port-a-loos. Avoid pointy shoes. Avoid outdated affectations, such as pocket watches and pipes. It’s 2011, life wasn’t better back then and swing dancing is not cool. I know it’s not cool cause my Dad thinks it is. Previous Previous post: parkandbond: Prince of Wales, not just for princes.